So journalists, are 'conservative' Muslims practicing a 'conservative' form of Islam or not? One of the advantages of being, well, a journalist who is a bit on the old side is that you remember debates and discussions in the past that resemble arguments taking place in the present. So flash back several decades with me to the era known as the Cold War. One of the topics debated in the first newsrooms in which I worked was how to use the terms "liberal" and "conservative" when talking about Communists, especially in the Soviet Union. Editors decided that the more socialist, the more Communist, the more Soviet people were, the more "conservative" they were. They were "conservative" Communists, even though "socialist" and "Communists" are normally words that describe a form of political liberalism. They were "conservative" liberals because they were resisting change to the Soviet system. People who wanted change in the old system, thus, were "liberals," even if these changes would take their nation away from socialism/Communism. The key, of course, was that "conservative" was bad and "liberal" was good. On Sunday, Italian publication La Stampa published an interview with Farook’s father, also named Syed, in which he said his son had harbored anti-Semitic animosity. Reached at his son Raheel’s home on Sunday morning, the elder Farook said his views differed from those of his son. What word was originally inside those brackets, the word that was turned into "conservative"? Whatever it was, it's clear that it was, for Farook's father, the opposite of "liberal." Once again, "conservative" means staying closer to an old, narrow, judgmental, perhaps even doctrinaire version of the belief system being discussed, which in this case is Sunni Islam. That's bad. Liberal, in this case, means a modernized, progressive vision of the faith. That's good. Who says so? Well, America says so. How do Muslims around the world view this particular judgment by American leaders? You can see the problem. Journalists are trying to say that the bad Muslims are practicing a faith that has nothing to do with the real Islam. Yet, at the same time, journalists are saying that these bad Muslims are "conservative" Muslims, which would mean they are trying to defend an older, stricter, more doctrinaire version of Islam (perhaps even a "Medieval" one). The bottom line: This Islam of the past is not a form of Islam. You can see this struggle in a new piece in The Los Angeles Times about the Islamic school in Pakistan that helped shape the young Tashfeen Malik. This is, you see, a "conservative," even "hard-line" Islamic school. Last week’s rampage by Malik and her husband, Syed Rizwan Farook, which killed 14 and injured 21, has cast a fresh spotlight on the teachings of Al Huda, part of a vast patchwork of Islamic seminaries, Koran prayer groups and other religious institutions that operate outside Pakistani government control and are often accused of fueling radicalism. Yet experts say Al Huda seminaries promote anti-Western views and hard-line practices -- including gender segregation and veils for women -- that could encourage some adherents to lash out against nonbelievers. “What happens in these Al Huda classes is teaching these urban, educated, upper-middle-class women a very conservative interpretation of Islam that makes them very judgmental about others around them -- that it’s their job to go out and reform people and bring them toward the path of true Islam,” said Faiza Mushtaq, a Pakistani scholar who wrote her doctoral dissertation on the organization. Al Huda’s curriculum also appeared to promote conspiracy theories about the United States and other Western countries. Note that these schools are teaching a "conservative" version of Islam, according to journalists, yet one that President Barack Obama -- like George W. Bush before him -- continues to insist is not really a form of Islam. When the president says that, journalists sort of agree. But, wait, we are also talking about what the press calls a "conservative" version of Islam. If that is the case, then what does the word "conservative" actually mean in these news reports? From my perspective, the key is that this Los Angeles Times story did a good job of showing readers a debate INSIDE Islam about life in the modern world. Forget the labels for a minute. What we see here is a clash between competing forms of Islam, both in Pakistan, in the United States and around the world, with Muslim leaders in different camps debating which set of doctrines represents the true Islam. Old or new? Conservative or liberal? Hard-line or progressive? Let me be clear: There are plenty of "conservative" and even "traditional" Muslims (click here for a discussion of one group within the Salafist movement) who do not make the leap to violent forms of jihad. Yet it also appears that the influence (and money) of Saudi Arabia is having, at best, a confusing impact on Muslims in other parts of the world. 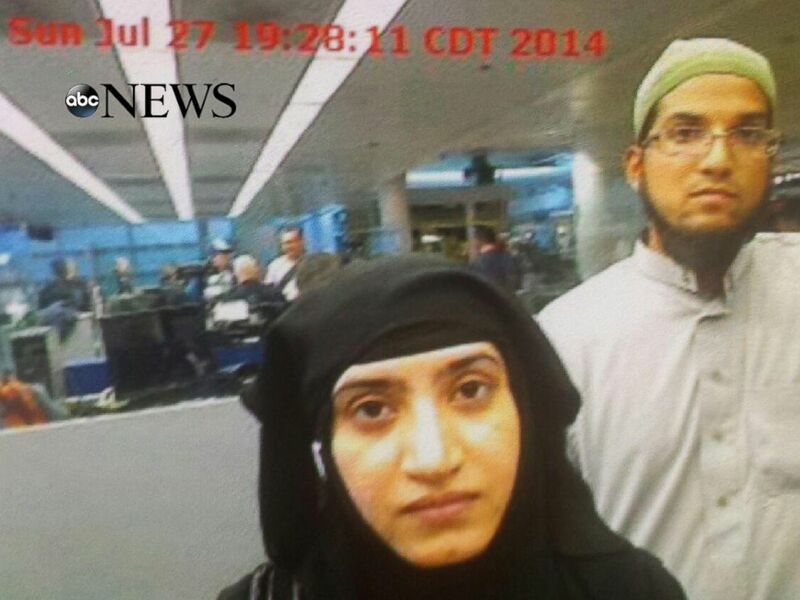 So, were Syed Rizwan Farook and Tashfeen Malik "conservative" Muslims or not?